Dr. Alex Berg (UDT, U. de Concepción) Chairman of the Organizing Committee. The Iberoamerican Network of Teaching and Research on Pulp and Paper is an ongoing, open, independent and autonomous scientific-technical organization created to “identify and develop research guidelines in the areas of lignocellulosic materials, pulp, paper and their recycling and biorefinery”. It includes researchers, teachers, technicians in relevant organizations in Ibero-America and partner countries who come together to promote dialogue and cooperation, encourage joint initiatives and international research projects, and provide training in areas of mutual interest. These activities result in multilateral programs that seek solutions to common problems while promoting the professional development of its members and increasing their research, training and technological networking capabilities. The organization currently has 154 members from 15 countries. 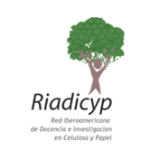 Throughout its 14 years of existence, the success of RIADICYP as a network of high technical level was due to the possibilities that it offers to obtain and share information and cooperation contacts. 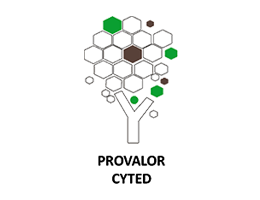 SIADEB – Iberoamerican Society for the Development of Biorefineries is a scientific society that has been created within the Cyted Network 310RT0397 (2010-2013). Currently, it has more than 200 members from 15 Iberoamerican countries. 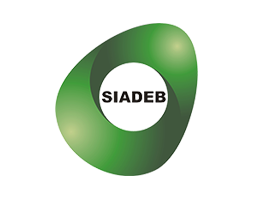 SIADEB is dedicated to promote the development of biorefineries with the active participation of companies and the Academy as a way to support and encourage technological developments required for the installation of the new generation of biorefineries in Iberoamerican countries. The CYTED PROVALOR network emerged in 2012 within the Iberoamerican Network for Teaching and Research on Pulp and Paper (RIADICYP), in response to the growing interest in replacing fossil fuels by other renewable and sustainable resources. In this context, the pulp industry has extensive knowledge regarding processes that fractionate lignocellulosic components which can be transformed into energy, biofuels, basic chemical products (platform chemicals) and materials. On the other hand, Iberoamerican countries have large agricultural and forest resources that generate waste, which are almost never used (and are generally simply burned). There exist Iberoamerican research groups that promote an integral use of such resources, e.g., by exploring the applications of lignocellulosic polymers or developing their processing technology. 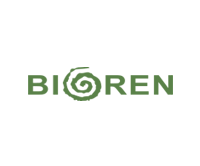 The aim of PROVALOR is to coordinate the actions of R&D groups and Iberoamerican companies that work on developing higher-value-added products (biofuels, platform chemicals and materials) from agricultural, forest and industrial waste. The profile of participating groups includes basic research, process engineering, process control and related companies. The total number of participating groups is 21 (including companies). The mission of the Scientific and Technological Bioresources Nucleus BIOREN (University de la Frontera, Chile) is to strengthen multidisciplinary research and development in biological resources and bioprocesses associated with food production, environmental sustainability and human health; and further, to strengthen education, dissemination and outreach in the field of bioresources. BIOREN has a multidisciplinary research team including chemists and biochemists, molecular biologists, cellular biologists, microbiologists, agronomists, chemical and biochemical engineers, and medical and biomedical scientists to develop innovative products from biological resources and bioprocesses which can be introduced by industrial partners for the production of useful bio-compounds. 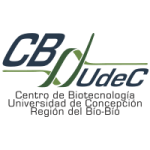 The Biotechnology Center is a regional center for R+D+i focused on five main research areas: Forest Genomics; Second generation biofuels; Aquaculture Biotechnology; Environmental microbiology; Phytochemistry. Much of this research, particularly in forestry and biofuels, fits on the Bioeconomy concept, a sustainable approach seeking a better use of renewable resources. 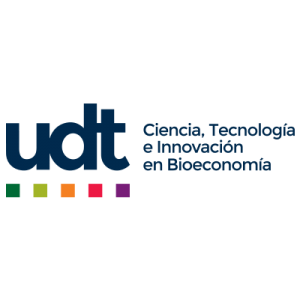 The Technological Development Unit (UDT) was inaugurated in 1996 as a specialized organization within the University of Concepción dedicated to science, technology and innovation. Since 2008 the UDT has been recognized by CONICYT, within the framework of its Basal Funding Program, as one of the thirteen centers of excellence in Chile. biofuels (e.g., pellets, torrefaction, alternative fuels for industrial boilers). VTT Technical Research Centre of Finland Ltd is the leading research and technology company in the Nordic countries. VTT has a national mandate in Finland. We use our research and knowledge to provide expert services for our domestic and international customers and partners. We serve both private and public sectors. We have 73 years’ experience supporting our clients growth with top-level research and science-based results. We develop new smart technologies, profitable solutions and innovation services. We cooperate with our customers to produce technology for business and build success and well-being for the benefit of society. We use 4,000,000 hours of brainpower a year to develop new technological solutions. The benefit you gain from this spearhead research comes when we work with you to create new products, production processes, methods, and services. VTT ensures efficient utilisation of science and technology with the aid of broad international cooperation and networking. VTT has been granted an ISO9001:2008 certificate, and our environmental system is certified in accordance with ISO14001:2004. 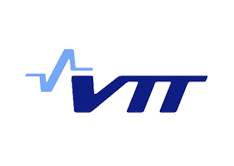 VTT is part of Finland’s innovation system and operates under the mandate of the Ministry of Employment and the Economy. VTT reports corporate responsibility according to GRI G3 guidelines.